Here's a sudoku challenge of a slightly different sort. 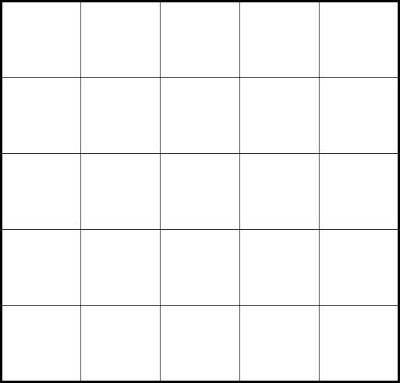 In the 5x5 grid shown below, write (x,y) pairs, with x and y ranging from 1 to 5 inclusively, with the stipulation that x and y values cannot be repeated in any row, column, or diagonal. For instance, if you write the (x,y) pair (1,3) in the top left cell, then you can not have any other pairs with an x value of 1 or a y value of 3 in the top row, the left-most column, or the main diagonal that runs from the top left to the bottom right. This puzzle can be solved fairly quickly and is not quite as difficult as it may seem.